The islands republic of the Philippines are an unique country, incomparably and absolutely something special. 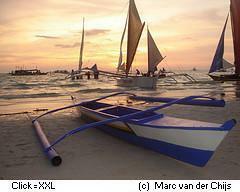 Everybody which deals thoroughly with the Philippines recognises the special charm of this country and his inhabitants. The Philippines have her problems, very big even, this is right and most inhabitants have a heavy life, many are poor, starve, nevertheless, the Filipinos are friendly happy people. The self-discovery of the Philippines, the departure in a new time, has begun scarcely and the Philippines still have a long way tp go. It should not be compared here political systems or be criticised, but are shown, which is why the Philippines are something special. The country encloses 7107 islands, dreamlike Pacific islands are among them, as well as we imagine tropical paradise. 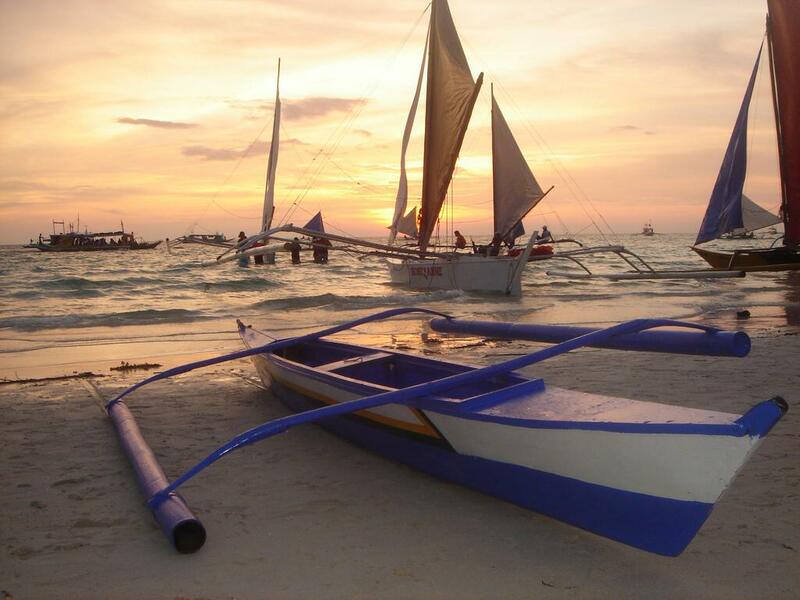 The Philippines have mountains with pleasant climate for hiking, volcanoes and gruff rocks for climbing friends, sea beaches with palms, white sand and crystal clear water. Discover cheerful mountain streams with waterfalls, hidden lakes and mysterious rock caves. Beside cultivated golf courses and parks with luxuriant tropical vegetation there is partially still uninvestigated jungle in the old state. Divers find diving places which belong to the best ones of the world. On boat trips whales and dolphins can be observed in the open sea. One can experience picturesque sundowns or marvel at early in the morning at the splendid sunrise on a fishing boat in the sea. The Philippines are a paradise with countless orchids, butterflies, exotic fish and coloured birds. Over and over again new, unknown animal species and botanical species are discovered. There are supermodern department stores in the towns, international airports just as mountain villages which are to be reached only on foot on dangerous paths. Visit town quarter with Chinese shops and interesting Chinese temple arrangements. The coloured activity at popular markets and in old-urban streets is also exciting with small shops, workshops and street shop assistants. One can visit ethnic groups which have preserved her old culture, observe them while weaving, coloring or woodcarving and visit her huts with grass roofs. Mountaineers in the cooler altitudes of the Philippine Cordilleras offer for sale onthe markets western fruit kinds and vegetable kinds, like lettuce, cabbage, strawberries and more. Instead of a bus or taxi one can also take a brightly painted jeepney, a tricycle or a kalesa - the philippine horse carriage -. Historic architectural monuments, how the 2000 year-old rice terraces and numerous old churches and fortress arrangements from the Spanish colonial age, are worthwhile aims for interesting excursions. The inhabitants understand English and the stay is very inexpensive for the foreign visitor with his hard foreign currency. In spite of all advantages the Philippines are opened touristically still a little. So how you can experience the Philippines today, one day this country will not be any more. Mabuhay ! - This is the welcome of these people. Experience the warmth of the inhabitants and get enchanted by the beauty of the country.